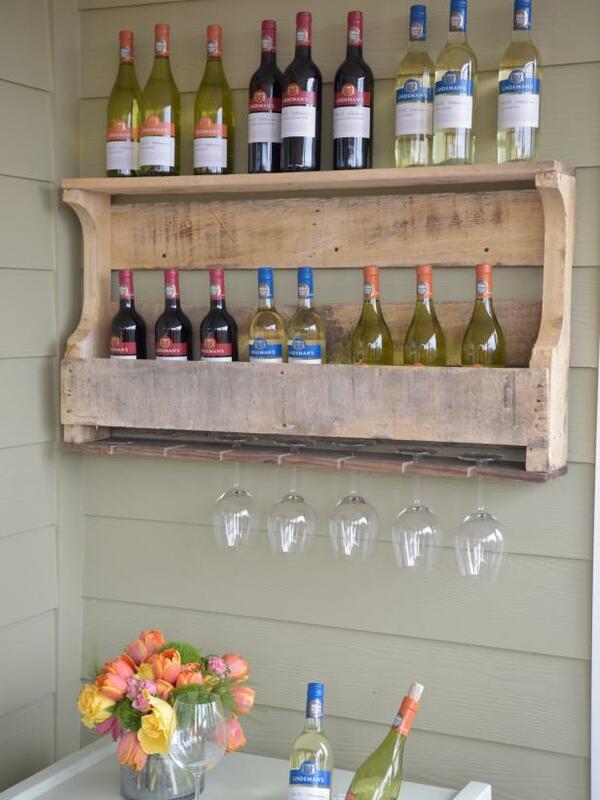 A beautifully designed pallet wine rack could host your favorite drinks with impeccable charm. Here we present to you a variety of ideas with photos, blueprints and detailed instructions. 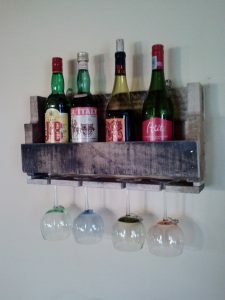 While most of them are meant for hanging from the wall and are horizontal you will be glad to find unique variations here. 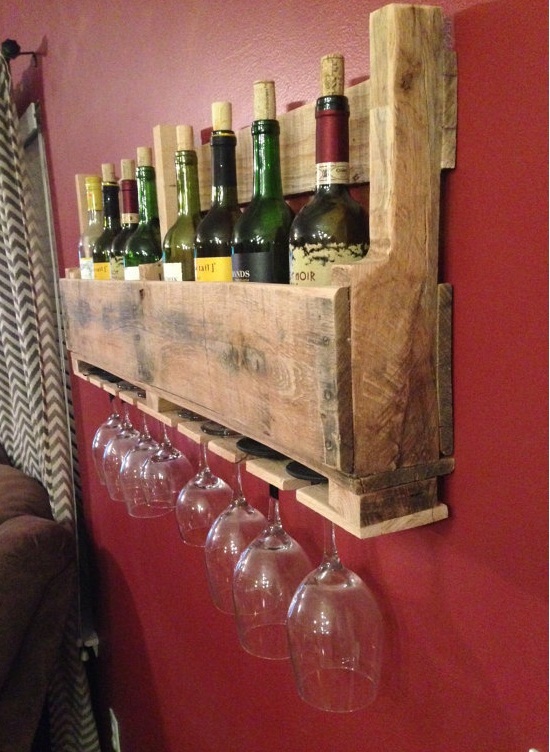 You can have a full pallet made into a wine rack or just use a small part of it. 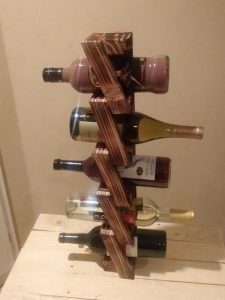 People having a lot of reclaimed pallet wood at their disposal can design this wine rack. 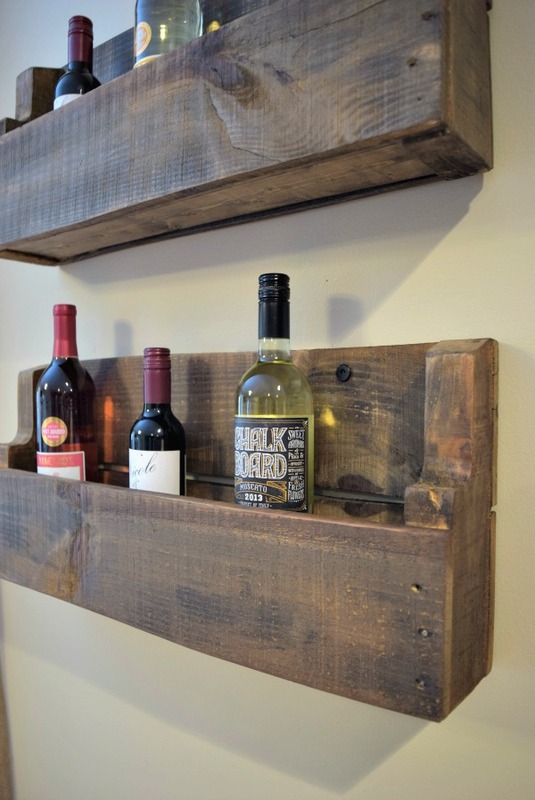 A rustic wine rack could get the attention of your visitors and garner praises. 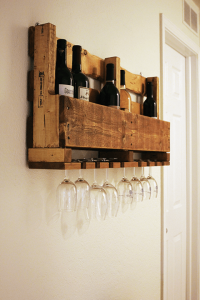 You would need to remove a fairly straight board in good condition from the pallet for building this wine rack. 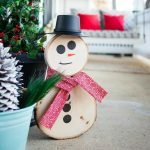 A hand saw or circular saw could help you with cutting along the lines. 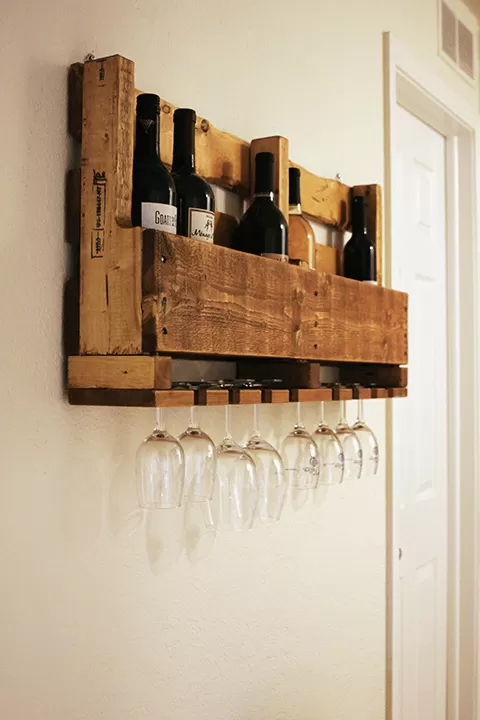 The guide walks you through the steps of cutting and removing the pallet, prep and sanding, measuring and drilling glass stem holes, cutting gaps for the wine glasses, final assembly and hanging. Repurposed wood pallets are the main ingredients of this recipe. You could choose stove pellets that seem fit for building. Once you have them in the right sizes, half your job is done. In the above-linked tutorial, you have been pictorially depicted the cuts you have to make on the pallet. If you have a pallet of a different size, you have to modify the cuts accordingly. 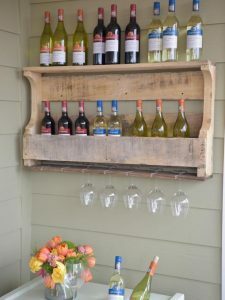 When you click on the above-linked post, you will find the steps of making a rustic X console table first. 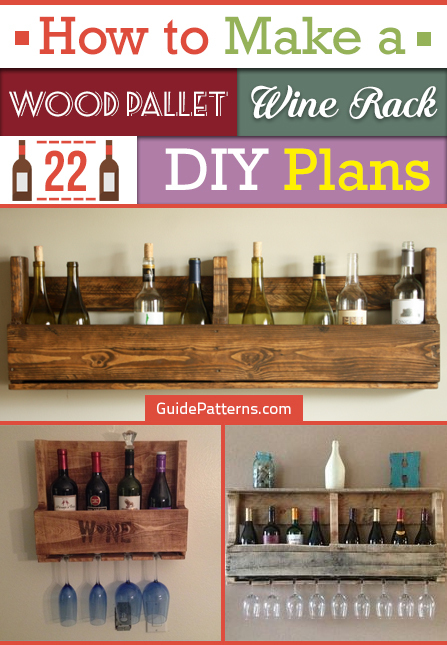 Just ignore it and scroll down to find an easy step by step guide to making a pallet wine rack. 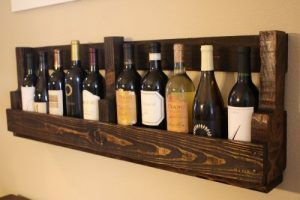 It is important to get the sizes of the wood pieces right for this project. 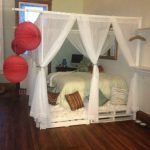 A saw, jigsaw, drill, hammer and pry bar would come in handy for this project. This unique wine rack has a glass holder at the bottom. 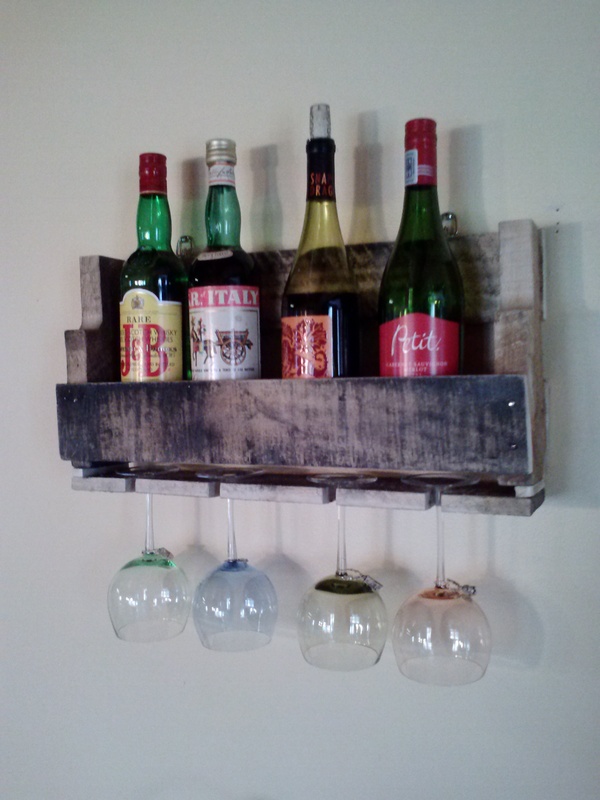 You really don’t need lumber for your DIY if you can repurpose wooden pallets. This project shows you how a basic wooden pallet can turn into a rustic outdoor wine rack that can hold at least 25 bottles of wine as well as stemware. This shelf could aesthetically house your favorite wine bottles and have extra space for your wine glasses too. 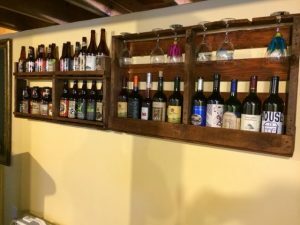 Isn’t it a win-win situation for the wine lovers? 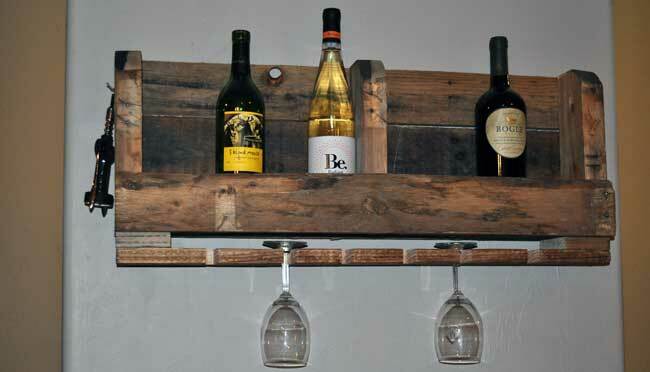 A wall mounted pallet wine rack wood looks enticing in the interiors of your cozy home. 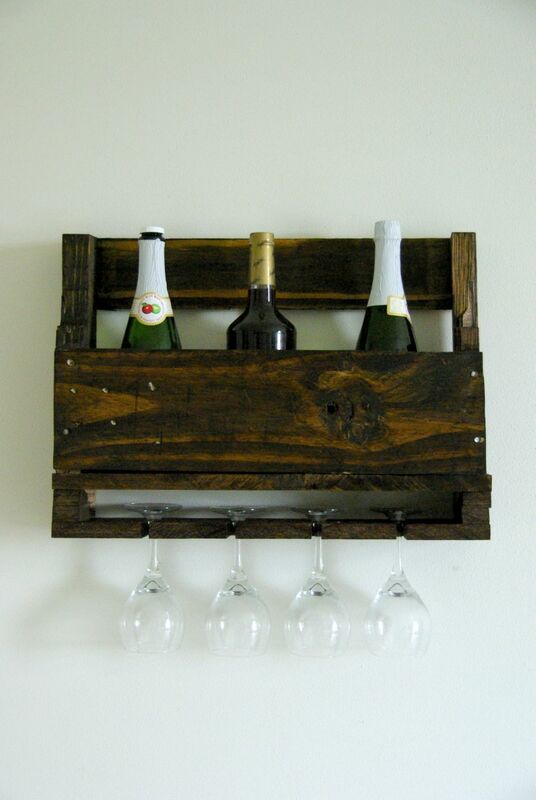 It involves cutting pallet with a jigsaw, remove the pallet slat and rip it, attach the bottom and sand. 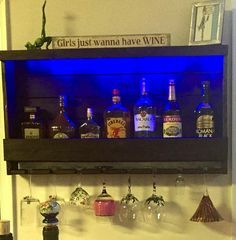 If you want, you can give it a modern look by painting in blue or white. 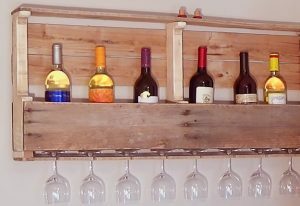 Each of these pallet wine racks can be made in less than 15 minutes! 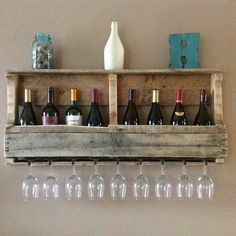 It helps if you stock pallets. 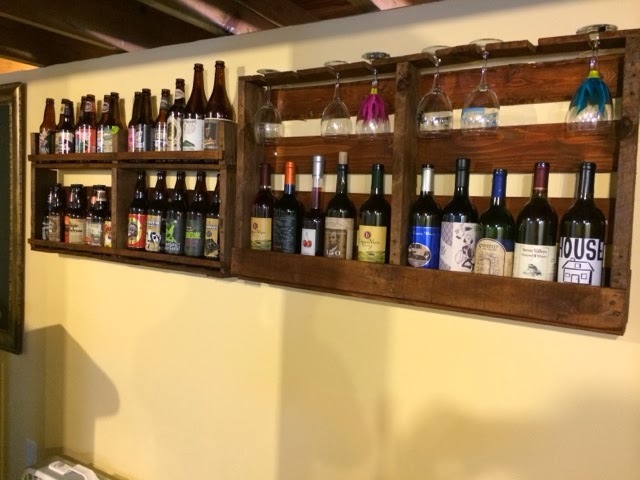 Note that the narrower pallets are used here. For this, the boards need not be adjacent to each other on the pallet. That enables you to take them off for rearrangement. To remove the boards, just gently tap them putting a spare wood piece between the pallet and hammer to prevent divots. A vintage looking wine rack could be one of your prized possessions. 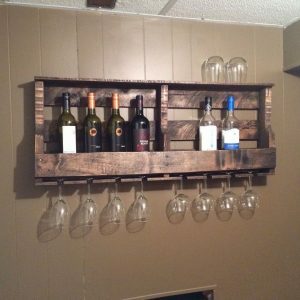 Learn how to make one on your own with this DIY. 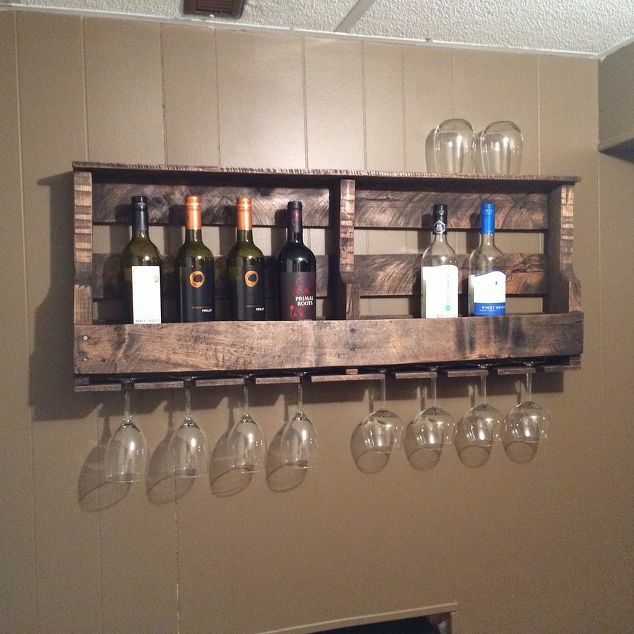 The supplies include wood screws, a pallet, sandpaper, polyurethane and stain. 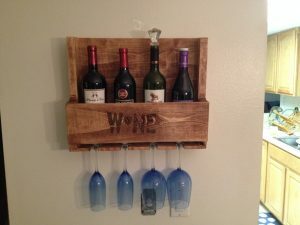 If you don’t want to mount it on the wall, just keep it free standing on the floor. If you have friends who love drinking wine, you could make them this special gift. They are sure to like it. No need of spending a cent for this. Just your love and dedication are enough for this awesome project. 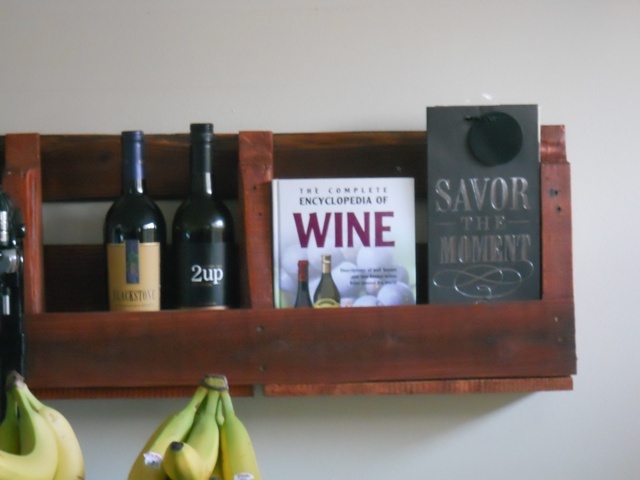 After building a pallet wine rack following the directions of the previous tutorial, you can personalize it as instructed in this guide. 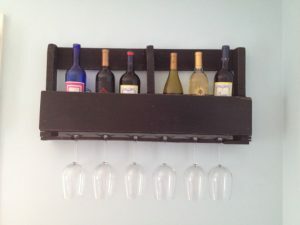 You could also paint sayings on it with the help of stencils. How about some art on the rough surface of the wood to lend it an aesthetic appeal? Making this is a simple process. 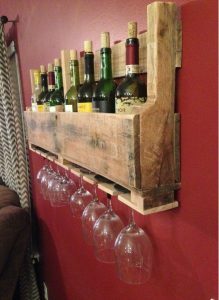 Cut pallet to a suitable size, remove a few extra slats for the top shelf and another for the wine glass holder. For the remaining instructions along with pics, click on the above link. 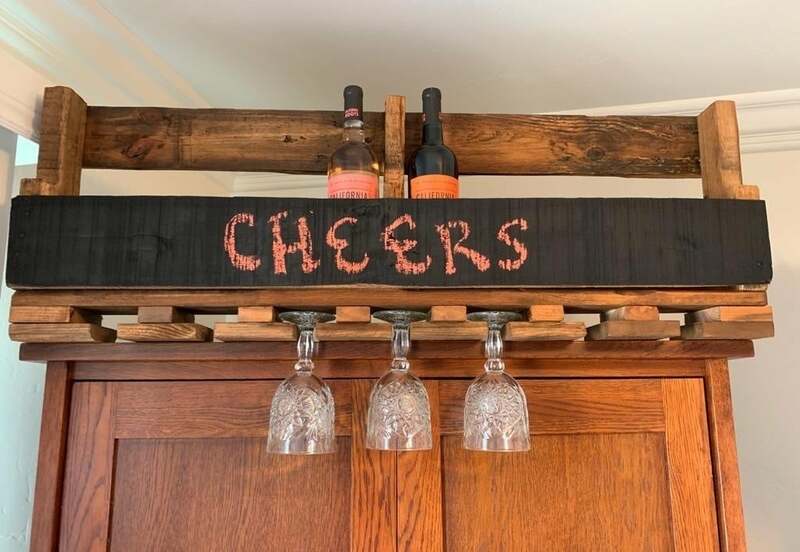 Though the rustic racks are typically used for holding wine bottles and glasses, after going through this article we are sure that you can think of it as a tool for interior decoration and refurbishing. 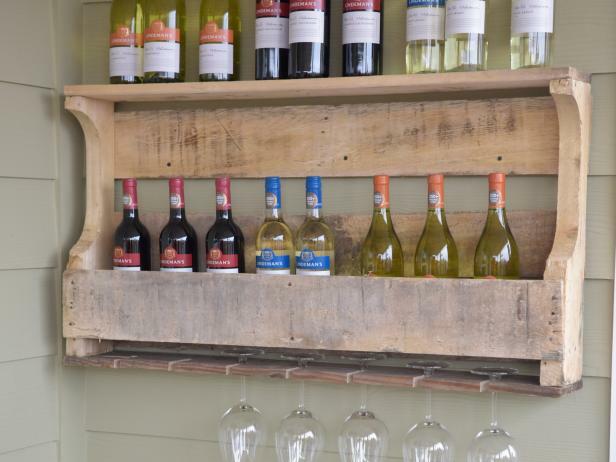 If you want it nice and sturdy, you could use oak or timber pallets. Be wary of the measurements or it could spoil the look of your wall. 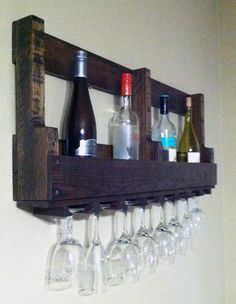 They can form a part of a bar or custom made to fit into a table.